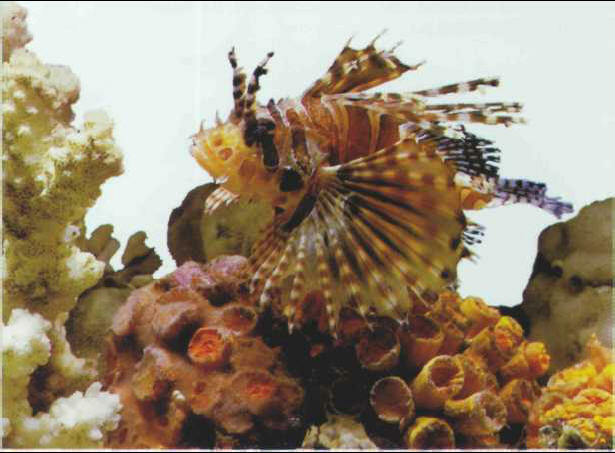 The dwarf lionfish does not grow longer than 15 cm, in contrast to the Pterois. It is also distinguished by the absence of a membrane between the spokes of the pectoral fins. Size: 15 cm.